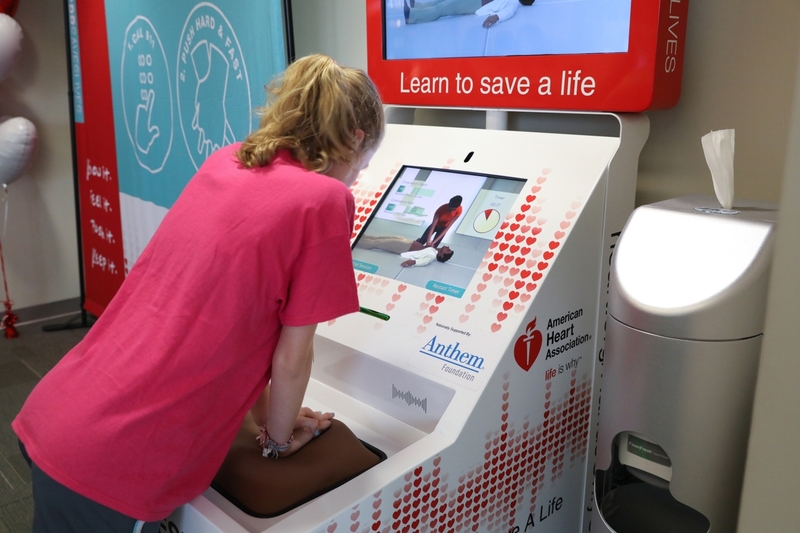 DALLAS, Nov. 12, 2018— People who learn Hands-Only Cardiopulmonary Resuscitation (Hands-Only CPR) using a five-minute, kiosk-based program performed CPR as well as those who attended a 30-minute, facilitator-led training session, according to new research by the American Heart Association, the leading voluntary health organization devoted to a world of longer, healthier lives, published today in Annals of Emergency Medicine. 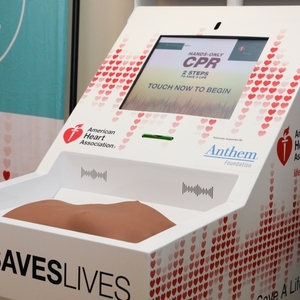 The study financially supported by Anthem Foundation compared CPR performance skills of people who used the kiosk and facilitator-led methods as well as a one-minute training video to learn Hands-Only CPR, a simpler CPR technique that does not require a combination of chest compressions with mouth-to-mouth breaths. 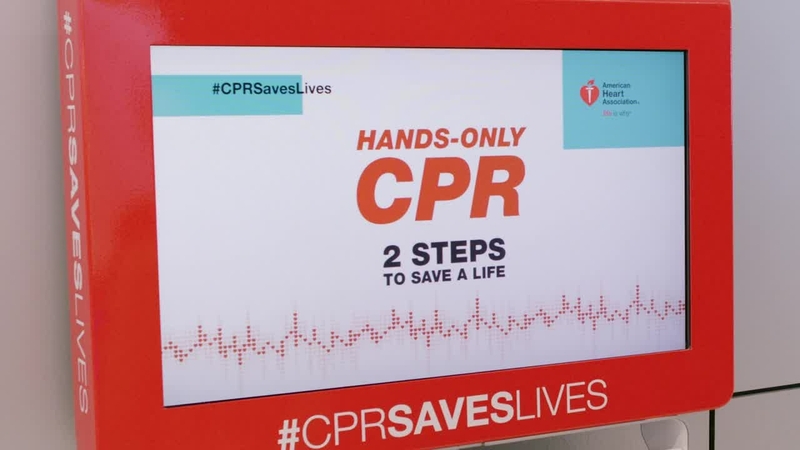 The study is the first to evaluate the effectiveness of kiosk-based training for Hands-Only CPR compared to other Hands-Only CPR training methods. Each year, more than 350,000 cardiac arrests occur outside of the hospital. Almost 90 percent of people who experience a cardiac arrest outside of a hospital die. 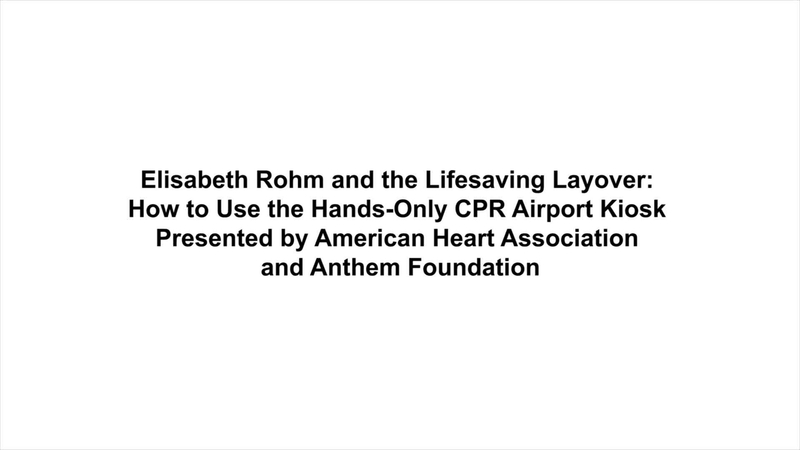 Survival rates can triple when bystanders perform CPR. The study published in Annals of Emergency Medicine examined three methods of teaching Hands-Only CPR: facilitator-led classroom training, which typically lasts 30 minutes and enables participants to practice CPR with the assistance of an instructor; kiosk-based learning, a five-minute, one-on-one training program that uses high-fidelity manikins that provide feedback on the quality of compressions; and a one-minute, public service announcement video. The researchers found that people who watched the one-minute training video scored lower than the classroom group in total score, but there were no significant differences in total score between classroom and kiosk participants. The video-only group performed lower on compression depth than the classroom group, while the kiosk group outperformed the classroom group on hand position score but scored lower on compression depth. Participants in the kiosk session performed as well as those in the classroom session in total score and compression rate. The kiosk users had poorer performance on compression depth, which suggests that this could be an area for improvement in the kiosk’s instruction and feedback. 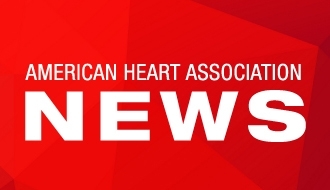 Because CPR is a psychomotor skill, one that combines mental processes with physical action, the more a person practices, the more they improve, said study co-author Lana M. Gent, Ph.D., Director of Product and Research Innovation at the Association. 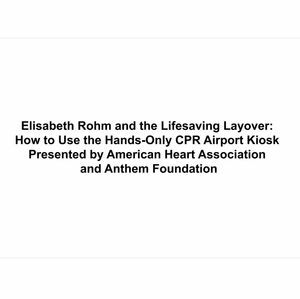 Based on the study results, kiosk-based CPR training, which is free for participants and located in high-traffic areas such as airports and shopping malls, is a good option for anyone who wishes to learn or reinforce Hands-Only CPR skills, she said. With founding support from Anthem Foundation, the Association rolled out the kiosk program in spring 2016. In addition to the Foundation’s continued financial support, the program has expanded with kiosks sponsored by local organizations installed in various cities. 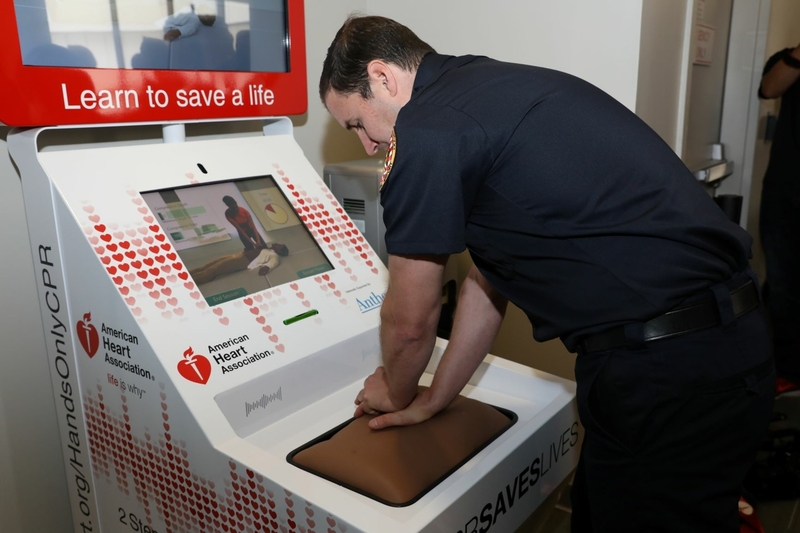 To date, the Association has placed 30 Hands-Only CPR training kiosks across the U.S. primarily in airports. The Anthem Foundation is the philanthropic arm of Anthem, Inc. and through charitable contributions and programs, the Foundation promotes the inherent commitment of Anthem, Inc. to enhance the health and well-being of individuals and families in communities that Anthem, Inc. and its affiliated health plans serve. The Foundation focuses its funding on strategic initiatives that address and provide innovative solutions to health care challenges, as well as promoting the Healthy Generations Program, a multi-generational initiative that targets specific disease states and medical conditions. These disease states and medical conditions include: prenatal care in the first trimester, low birth weight babies, cardiac morbidity rates, long term activities that decrease obesity and increase physical activity, diabetes prevalence in adult populations, adult pneumococcal and influenza vaccinations and smoking cessation. The Foundation also coordinates the company’s year-round Associate Giving program which provides a 50 percent match of associates’ pledges, as well as its Volunteer Time Off and Dollars for Doers community service programs. To learn more about the Anthem Foundation, please visit http://www.anthem.foundation/ and its blog at http://anthemfoundation.tumblr.com/. 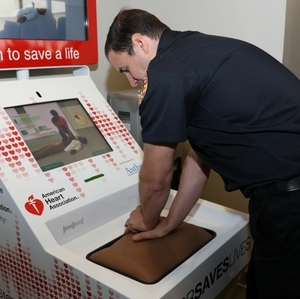 An employee with Cincinnati-Northern Kentucky International Airport practices Hands-Only CPR on the kiosk. 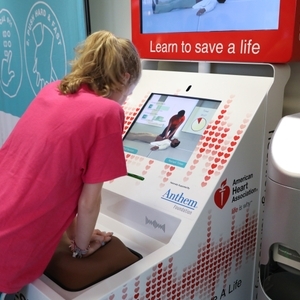 Young girl learning Hands-Only CPR at the American Heart Association Hands-Only CPR training kiosk at Cincinnati-Northern Kentucky International Airport. 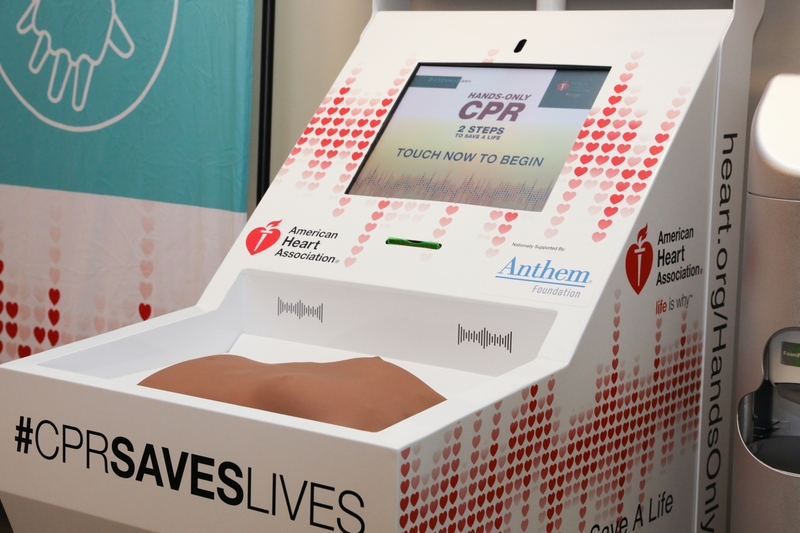 American Heart Association Hands-Only CPR training kiosk at Cincinnati-Northern Kentucky International Airport. Large Heart and Torch with American Heart Association text. 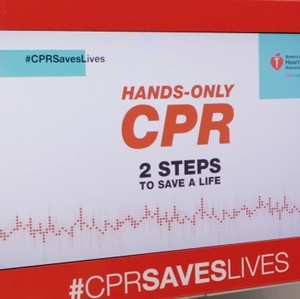 A traveler learns Hands-Only CPR on the kiosk at Indianapolis International Airport.